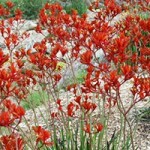 Hans Hoheisen Charitable Trust supported Flower Valley Conservation Trust in its continued work across the landscape. The Trust was founded by Hans Hoheisen, who showed a great love for the environment during his life. His generosity and wisdom have also been highlighted as traits that facilitated his major conservation efforts in South Africa and abroad. While he died in 2003, his conservation work continues through his Trust today. The Trust is managed by Nedbank Private Wealth. 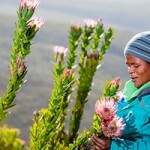 The Fynbos Trust is situated in the Stanford area. The Trust facilitates landscape-scale conservation in the Overberg, providing support to organisations that actively protect the Cape Floral Kingdom, and that work in early childhood development. The Trust is headed up by Chris Martens, who has nearly four decades of experience in the conservation sector. Chris has managed nature reserves such as De Hoop and Grootvadersbosch, and throughout his career with CapeNature, focused on supporting landowners though the Stewardship programme. These 3 top United Kingdom universities have supported Flower Valley’s work to promote sustainable fynbos. The universities have together funded various projects related to encouraging ethical trade in the sector. The team is led by Professor Alex Hughes, Professor Cheryl McEwan and Dr David Bek. For example, they played an integral role in the development of the i-Fynbos app – a tool that helps harvesters and landowners monitoring the impacts of harvesting over the long term. The ApexHi Charitable Trust is committed to supporting development initiatives that are directed towards the alleviation of poverty and the development of communities in South Africa. The Trust invests money from an established endowment fund into reputable projects and non-profit organisations working in the fields of early childhood development and community strengthening. The Millennium Trust was established in 2010 as a non-profit organisation with the aim of contributing to the success of South Africa. South Africa needs sustained economic growth, high-quality education, informed public debate, independent democratic institutions and efficient service delivery to be successful. The Trust conducts its own projects and also supports individuals, projects and organisations that provide interesting and creative answers to these challenges. The Drakenstein Trust is a trust focused on invasive alien plant eradication. The Trust supports the Agulhas Biodiversity Initiative Alien Clearing Coordination Unit, currently overseen by Flower Valley. Aliens pose one of the greatest threats to our region’s biodiversity, while promoting climate change. However, invasive alien eradication is useless if clearing is not coordinated wasting the already scarce funding that is available. This vital grant therefore ensures all stakeholders across the Agulhas Plain and greater Overberg coordinate their alien clearing activities, while allowing the unit to source funding to address the spread of aliens across the region. We also receive smaller donations from individuals and philanthropists who are not listed here. We are extremely appreciative of your support too.